Following any exposure to weather that could affect strength or stability. At regular intervals (not exceeding 7 days from previous inspection). 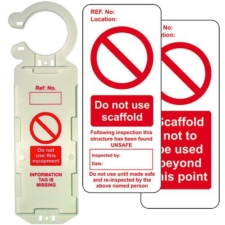 Our clawtags display the message "do not use this equipment" when no insert is used, which can be used easily if scaffolding fails an inspection, or can be used with the scaffold prohibition insert. 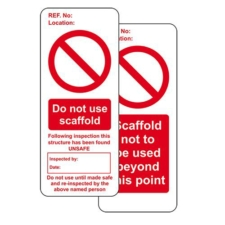 The tags can be further secured to scaffolding with cable ties. 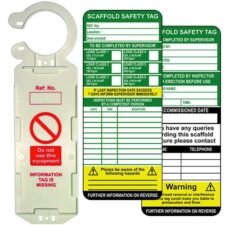 We also supply single kits, and packs of inserts. 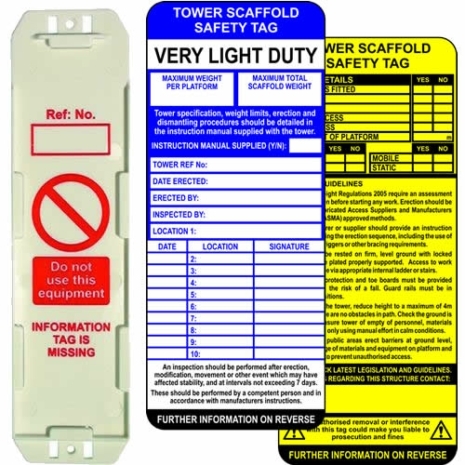 We also supply a wide range of other tags and inserts. 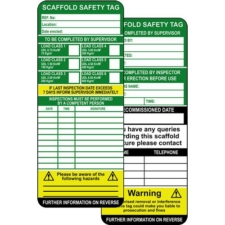 These tag kits are similar to Scafftags.